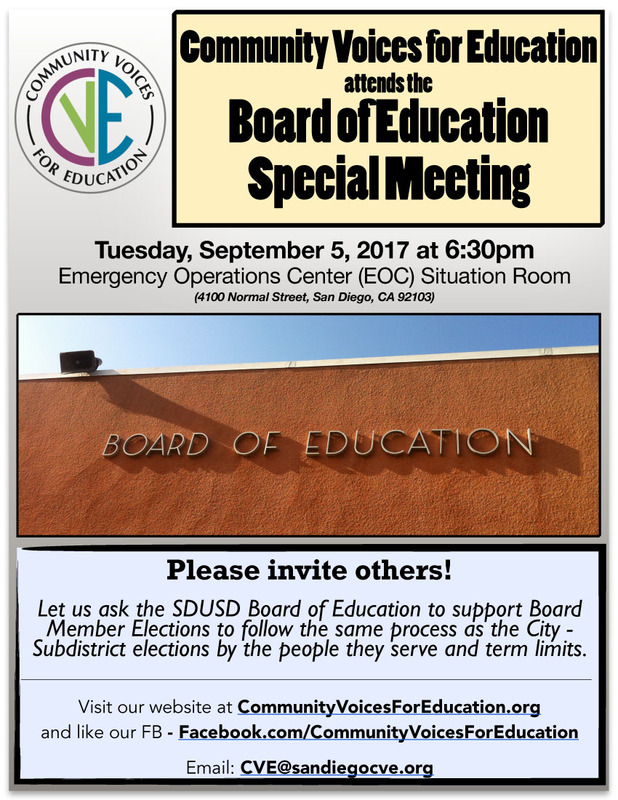 Community Voices for Education attends the Board of Education Special Meeting on Tuesday, September 5th, at the Emergency Operations Center Situation Room – 4100 Normal Street, San Diego 92103. 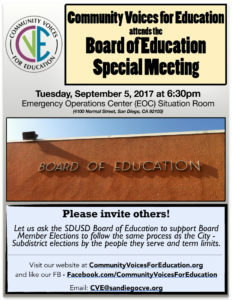 Let us ask the SDUSD Board of Education to support Board Member Elections to follow the same process as the City! Subdistrict elections by the people they serve and term limits! Thank You – School Board District Only Election! Vote NO on Measure YY – Bad Deal for San Diego! Community Voices for Education is a project of Parents for Quality Education, a 501(c)(4) nonprofit organization.